In yet another example of government sponsored international broadcasting ending, Radio Canada International calls it quits after 67 years. 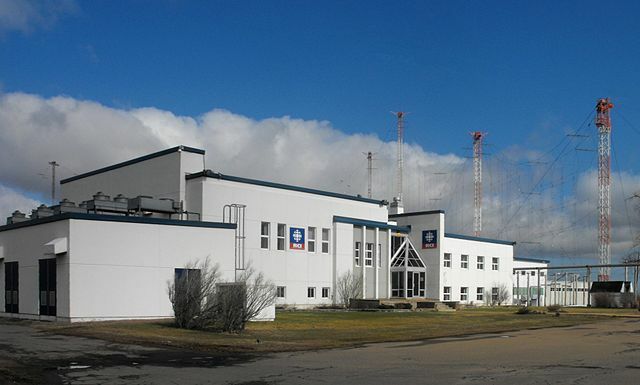 Effective June 24, all broadcasts from RCI’s Sackville shortwave relay site will cease. All satellite distribution will end and seventy five percent of the RCI workforce will be laid off. This means the end of almost all RCI original content. The good news, according to the press release, is that RCI will continue on webcasting. This is due to budget cuts to the CBC, which administers RCI. The Canadian Parliament cut the RCI budget from $12.3 million CAD to $2.3 million CAD for 2012. This cut in expenditures is saving each Canadian resident approximately $0.35 CAD per year. Thus, this weekend is the last chance to hear RCI or CBCNord Quebec on any HF frequency. I listened to RCI for many years, until they drastically reduced their English language shortwave broadcasts to North America in 2006. Simply put, HF broadcasters are folding up shop and moving toward web based distribution networks. Those HF transmitters are expensive and they do not maintain themselves. One drawback of this scheme is government censorship. It is very easy to the government to block access to sites via internet firewalls. It is very difficult to completely jam a radio station. And perhaps those considerations are not important. I wonder what will happen to their transmitters after sign off? According to the wikipedia article there are nine HF transmitters in use, with power levels ranging from 100-300 KW. They are likely to be hauled away and scrapped, the building torn down.